Hunting bags come in various styles and sizes, colors and prices. The unfortunate thing is that only a handful of them can cater to the needs of most people. 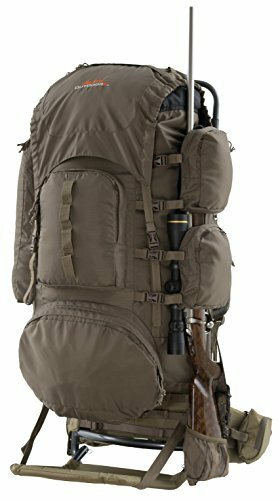 If you are one of those people who cannot travel light no matter how hard you try then you should consider the Alps Outdoor Z commander freighter frame plus pack bag.This high capacity backpack is the perfect backpack for hunters. Don’t you just love a bag that gives you a plentiful number of compartments to pack away your much needed items? This backpack comes with all sorts of compartments that make it easy for you to store all your camping items with tremendous ease. There is a pocket for your spotting scope, rifle holder, front pocket and many more compartments for just about everything you want to do. It is important to be able to carry everything you need in a backpack and still carry it comfortably. 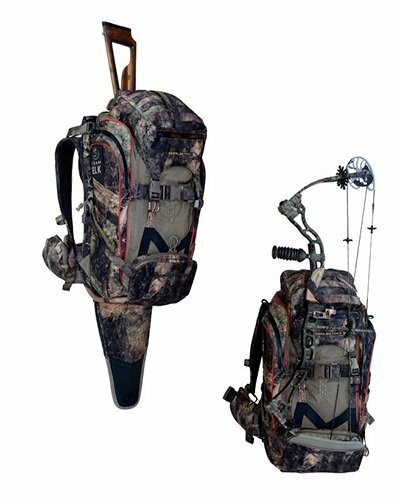 The Alps Outdoor Z Commander backpack offers you extra comfort when you are out camping, hiking, or whatever it is you are doing. The shoulder strap and waist belt are specially padded to ensure they are extremely comfortable. The back is also well padded to provide excellent cushioning as you walk. This commander freighter frame backpack is incredibly lightweight, which is pretty good news for campers. There is no reason why you should have to limit what you are carrying because your bag is already too heavy. The Alps Outdoor Z backpack weighs roughly a mere two pounds. This might tempt you to think that it is very small, but actually the backpack offers a staggering 5250 cubic inches worth of volume for your items. You can now bring along even more items but still move about easily. The second product that comes along with the backpack is the Commander Freighter Frame. All you need to do is detach your backpack and you have a freighter frame to haul your meat and other game from one area to another easily. The freighter frame comes with webbing loops that make it possible to secure all of your meat. The frame adds about five pounds to the weight of the pack. However, it is still one of the lightest backpacks in the market today. People with a small frame may have a problem using this product because of its large size. Q: How good is the material of the backpack? A: The backpack is made using high quality material. This allows you to slice through bushes and thickets without worrying about damaging your backpack. Q: How much does the backpack together with the frame weigh? A: Alone the backpack weight 2 pounds but together with the frame it weighs 7 pounds. This is awesome because you can carry all your items around with you comfortably. Q: Is the pack waterproof? A: The pack is waterproof. With rain, sleet or even snow the contents inside the pack will remain dry. Has the Alps OutdoorZ Commander Backpack Review convinced you that it’s a fantastic backpack for you? The Alps OutdoorZ Commander Freight backpack is a great purchase and has excellent capacity. Now you can bring all the items you need for your travel expedition with you. The pack offers great strength and it is also very reliable. At its price this pack is definitely a steal.